Get those eyeballs ready, Subnautica has received a massive graphics overhaul. 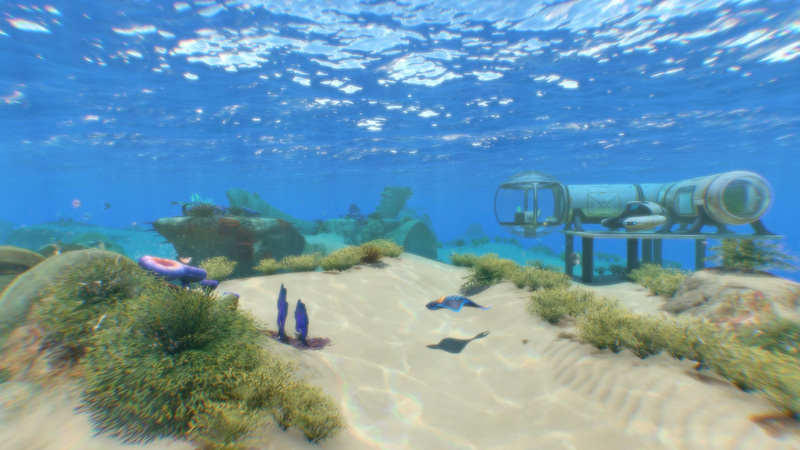 This is the Eye Candy Update: Subnautica has never looked so good. All together, these options revolutionise the way Subnautica looks. You can mix and match all the options, and adjust their intensity, to find a look that you like best. Eye Candy isn’t just a pretty face. This update contains a disgusting quantity of bug fixes – Over 250 at last count. In particular, we think we have solved the perennial and infamous drifting lifepod problem. Miners among you will be happy to hear that your life just go easier. When piloting the prawn, drilled resources will automatically be placed into your inventory. One big graphics improvement is actually a bug-fix in disguise. Sun-shafts are now properly hidden by shadows. This used to be a big problem inside bases, particularly ones with long corridors. Eye Candy is not just candy for your eyes: Your ears are also in for a treat. Abandoned bases now feature voice-overs from new voice actors. Have a listen, and learn about what happened to this underwater world. Speaking of bases, the Scanner Room user-interface has received some serious TLC. It is much easier to use, and more powerful, and won’t show items that have been picked up. Who likes stargazing? We do! Problem: When stars shine through planets, stargazing becomes weird. Stargazing in Subnautica is no longer weird: We’ve fixed up a bug that caused stars to shine through orbiting bodies and clouds. The dive-reel has always been a little bit of an oddball item. The intention is to, like a real dive reel, lay a trail that a diver can use to retrace their path out of a confined space. Unfortunately, the reel hasn’t worked so well in practice. So we’ve replaced the cord with breadcrumbs of light. We’re still working on the final effects, but the gameplay change is here now.